With vast experience catering to all kinds of significant events, we know what works and how to design a menu to enhance your party. Be it a gala event, building opening, product launch, an engagement party, an anniversary or birthday, at Ab Fab Catering Black Label we take the time to listen and understand your needs, working with you to deliver an outstanding result for your special events. Our chefs and events team can provide a range of menu and beverage options, including service alternatives and provision of dietary requirements, to ensure your special event is just as you imagined it to be. 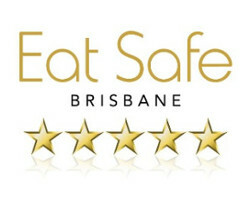 Ab Fab Catering has an extensive list of unique venue options for you to choose from, we are preferred caterers from some of Brisbane’s most iconic venues. We can help you choose an amazing venue that’s just right for your celebration.